Feel good your way with one of our balance wellness packages or a meditation retreat in Koh Phangan. Balance Wellness by Anantara is designed to make you feel even better on holiday. The range of treatments at our wellness and meditation retreat in Koh Phangan will help you reach your end goal whether you wish to take a holistic, detoxifying or energetic approach. Our jungle spa on the quieter corner of stunning Koh Phangan will refresh and invigorate, whilst our expert wellness professionals will help to balance fitness and relaxation. Renew your sense of wellness with programmes designed to recharge your energy through nourishing Thai herbs and signature massages. Bring your skin to life with an Anantara Signature Facial. Refuel with our carefully crafted detox juices and stretch with a Traditional Thai Massage. Then give your body some TLC with a Detoxifying Green Tea Scrub and Wrap. Let go of your tensions and take a break from your busy life with a sequence of treatments to raise your energy levels and nourish your body. Our spa, holistic and nutritional experts will alleviate your mind and body from fatigue through a balance of techniques. The power of yoga is set to give you a burst, healthy lunches and raw juices will replenish, and a head, neck and shoulder massage will concentrate on the points that stress targets. There is no better way to wake up your senses than with a yoga and spa session. 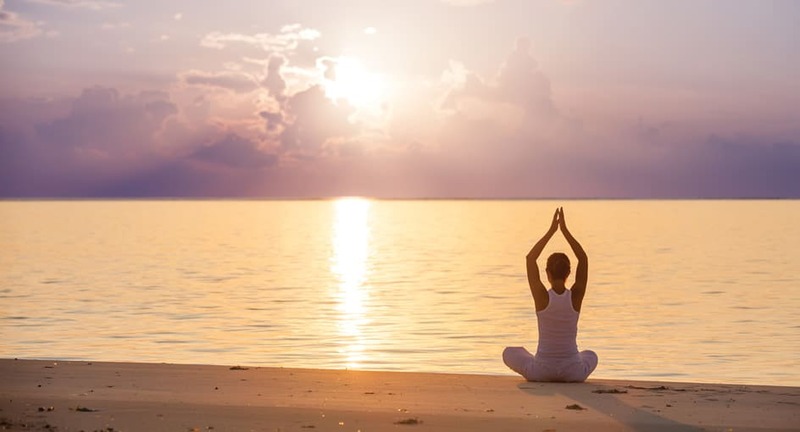 Start with a private yoga class on a platform overlooking the bay, where your posture and flexibility will be strengthened through a series of asana poses. Then unwind with a therapeutic spa sequence as your tensions melt away, before nourishing your body with a healthy lunch to help guide you towards healthier eating habits. This yoga class mixes Vinyasa Flow and Hatha for a balance of wellness. Increase your heartbeat with the energetic movements of Vinyasa Flow to warm up your body. Then slow down with some Hatha where asanas are held for ten deep breaths or more for a complete sense of wholeness. Finish off with the relaxing state of Savasana and Pranayama. Hatha Yoga concentrates on aligning the stillness of body and mind through a series of poses. After warming up with Suryanamaskar, you will then move into slow static movements where each asana is held for at least ten deep breaths. This class will leave you feeling focused on your strength, awareness and breath. The Sivananda form of yoga is a series of 12 poses that direct attention from the head to toe, beginning with postures that focus on the crown chakra before moving down to the root chakra. A long rest concludes the class of Savasana, alongside extensive Pranayama and meditation. Basic asanas make up this slow style of yoga. Perfect if you prefer not to over-exert yourself yet still want to nurture positive benefits. Detox Yoga alternates lying and standing poses to enhance peace and stillness – each being held for ten deep breaths or more. Rehydrate and restore your body throughout the day with a fresh fruit and vegetable drink. You will be nourished with key nutrients for healthy vitality that will radiate inside and out. Fill up on smoothies or give yourself a boost with a fresh young coconut. Reiki is a unique treatment that helps to release energy blockages and promote good circulation of body energy. A powerful practice where energy is channelled through the hands to treat the whole body, working on physical, mental, emotional and spiritual planes. The result is total relaxation with an overall sense of improved wellness. Restore your body, mind and spirit through sacred sound, the oldest form of healing. Using the power of vibrations to balance your wellness, the healing tones of Tibetan singing bowls, tuning forks, bells and tinghaws will take you on a journey of deep relaxation. Pain and stress will be relieved, and your entire energy system will be promoted with feelings of deep inner peace and tranquillity. Our seven chakras (energy centres) are the network through which our body, mind and spirit act as one complete holistic system. Precious stones have individual healing qualities to restore balance to your chakras. Reiki is also used during this treatment to promote harmony.